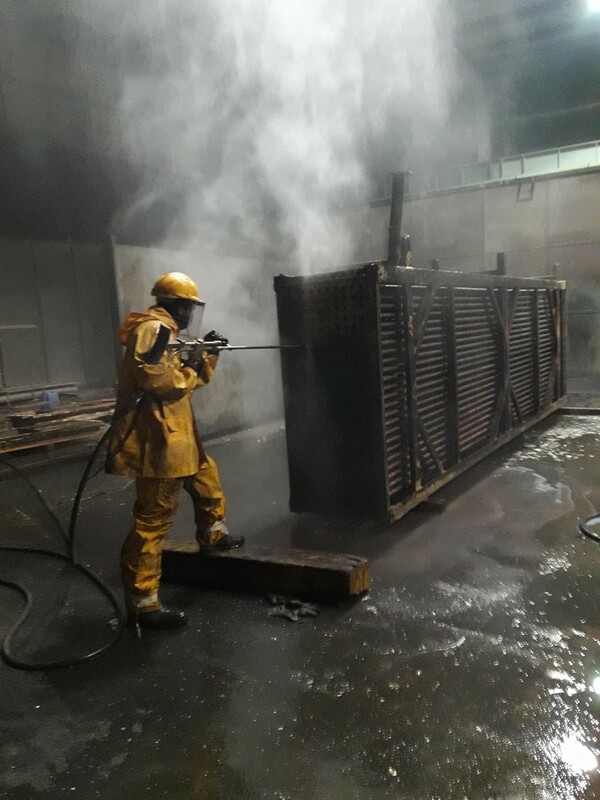 There are several facets to improve the cleaning efficiency of industrial high pressure cleaner, mainly reflected in the pressure and flow rate can make full use of, pressure to speed can efficiently convert, the optimization of nozzle design and the biggest play for the target material force. When the high pressure water jet is stable and continuous flow, the pressure on the shock is called shock pressure. The impact is proportional to the square of the jet velocity, so trying to improve the jet velocity of nozzle is the key to improving the cleaning efficiency. Minimize the resistance loss and winding loss, high pressure hose connector loss and nozzle resistance loss, all in all, try to reduce the pressure loss from the pump to the nozzle. Expelled from the nozzle of the flow, calculation often replace with the flow of water pump, in fact the nozzle flow than the pump flow is small, because usually the selection of nozzle aperture not science, part flow overflow, back from by-pass pipe the overflow tank. The total capacity of the jet power to represent the jet stream, which is proportional to the pressure and flow of the jet stream. Thus, increasing the pressure and flow of the jet can increase the power of the jet stream, which is proportional to the power of the jet stream. In fact, the difference between the two is very different from the effect of the scale. The pressure is designed for the intensity of the scale, which is not damaging if the pressure is lower than the damage of the scale. When pressure is enough, if want to increase the effect of composition, raise the pressure becomes secondary conditions, mainly by improve the effect of high pressure water jet flow will get this. Therefore, under certain pressure, flow is an important factor in improving the cleaning effect. The reduction of cleaning efficiency can be caused by ignoring the important function of washing machine traffic. The design of nozzle aperture is determined by the requirement of cleaning and the pressure and flow of high pressure plunger pump. Of course, the nozzle aperture must ensure the full play of the pressure and flow of the pressure washer, which is to keep the high pressure water pump working under rated pressure and rated flow condition. Therefore, the small nozzle aperture is the key technical problem affecting the efficiency of the pressure washer.